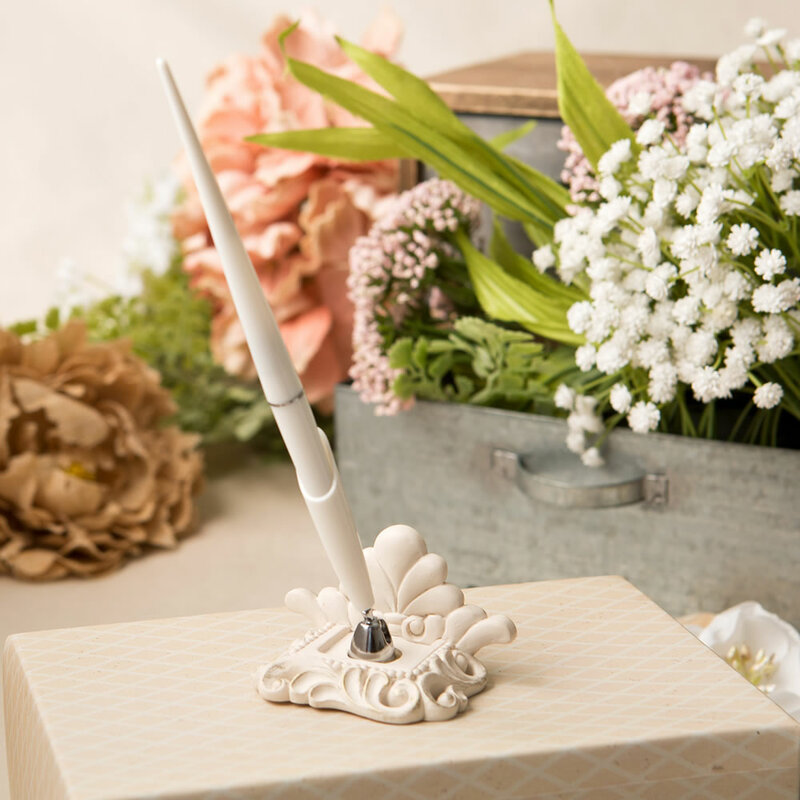 The pen set features an ornate base with a flourish pattern crafted from poly resin. The base is painted in antique ivory and subtly accented with brushed gold leaf. The pen is made from white plastic and fits into a white plastic base that sits on a silver metal swivel bottom.